Animation Conversation Weekly nr. 28! TED segment on making super real humans in films like The Matrix, Superman Returns, King Kong and The Curious Case of Benjamin Button. Interview: The Princess and the Frog Directors Jon Musker and Ron Clements. “Mary and Max” now available on demand. This week its “Drawn to Life: 20 Golden Years of Disney Master Classes” by Walt Stanschfield, edited by Don Hahan. 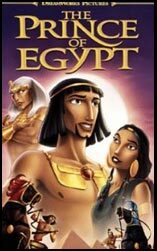 I liked Prince of Egypt, although I can’t say it would be for everyone. the Charlton Heston movie, “The Ten Commandments” which gets annual play each year. into the game. Unfortunately, they didn’t continue with the 2D animation. $200 million worldwide. It outperformed ANTZ, although ANTZ was cheaper to make. it one that deserves to be seen at least once. Seems like we are on the same page when it comes to this movie. Costume drama with a nerve. I will have a look at the sidebar-problem. Thanks for pointing it out!